The choices you have on the market and what to buy. Protection from electric shock is very important, and the choice of safety work boots for electricians that are available on the market, has increased significantly since the trusty army boot being the only somewhat protective footwear available. 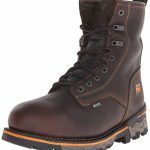 Wanting to find boots for myself, that offered some extra protection while working with electricity, the Thorogood Men’s Composite Safety Toe Gen Flex 6-Inch Work Boot proved to be my choice. Working with electricity poses very specific challenges when it comes to safety. The main consideration for work boots specifically for electricians, is the ability to inhibit the flow of electricity to earth and thus, prevent electric shock. Such work boots for electricians have deeper than normal soles that are thickly insulated with hi-tech composite materials. Work boots for electricians are given a rating. EH-rated boots will protect the wearer, from electric shock when connecting to a current of up 600 volts with no water around. This is sufficient for most industry electrical work settings. Any greater voltages than this require more specialised safety requirements. 1 Important considerations of each boot. 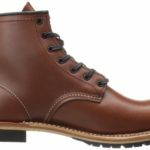 Important considerations of each boot. Why is this is the best? 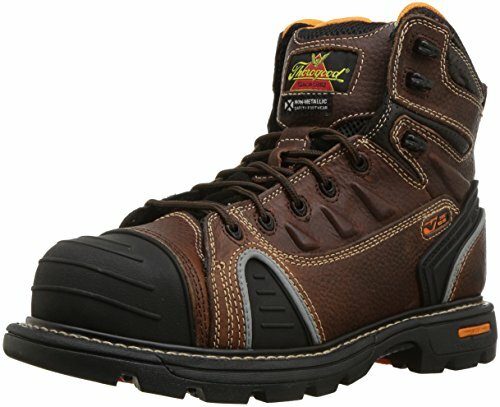 Why is this the best work boots for electricians? The Thorogood Men’s Composite Safety Toe Gen Flex 6-Inch Work Boot offers the best combination of protection with comfort in a great looking package. The boot uses hi tech construction methods and materials to give both light weight with strength. These work boots are specifically designed for use on construction sites and all the hazards that are there. They have an active design for the protection against electric shock as well as being a very capable work boot. Electrical Protection. The Thorogood Work Boot is one of the few boots available on the market that states it offers protection conforming CAN/CSA-Z195 18,000V standards. This means protection from up to 18,000 Volts, something I hope you never need to test. This is a much higher level of protection compared to the usual standard of 600 Volts and offers a much higher level of protection in such work environments. Other Protection. The Thorogood Work Boot has a very strong composite material for the toe area of the shoe for added protection. This offers a similar level of protection to a steel toecap, but without the weight and the metal. Steel toe cap work boots can be worn by electricians, however maintenance and care are needed to ensure that the metal is not exposed anywhere, either inside the shoe and in contact with the foot or metal exposed on the outside. 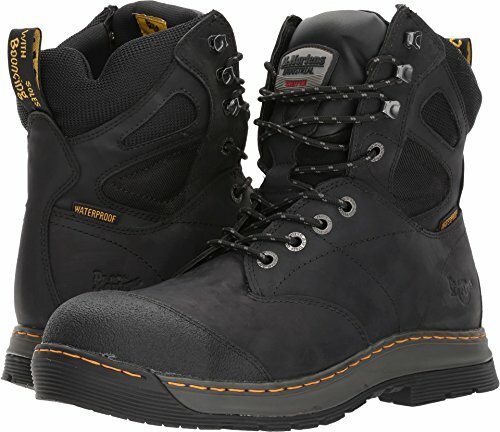 Of course there are work situations where steel toe caps are not necessary and can even be a hinderance, please see, Best light weight Work Boot Reebok Work Men’s Beamer Comp Toe EH Hiker. Steel toe cap boots can become heavy and uncomfortable after a while and can make you tired due to the added weight. General Comfort. 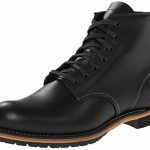 The Thorogood Work Boot offers some serious protection from electric shocks, as well as one of the best designed work boots on the market. Full protection for your feet on a construction site, but still lightweight enough to wear in the office. These are high, 6inch boots, for great ankle protection and support. They can either be lased to the top for full support or below the neck for movement of the ankle and easier bending down. 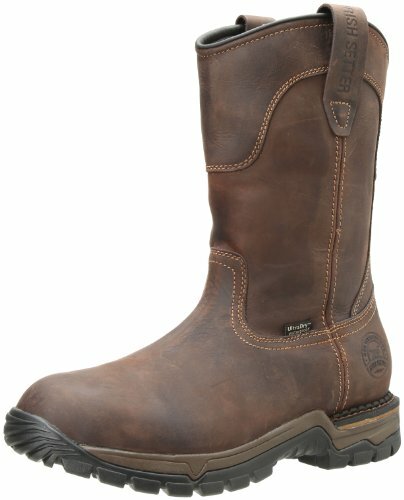 Why this is the best hard work boot for electricians? The Dr. Martens Mens Electrical Hazard Steel Toe 8-Eye Boot is a pair of Dr. Marten’s Boots, what more to say. Not just an extremely durable boot, proven over decades of use, it is also a fashion statement that has never gone out of fashion. These are tough boots offering maximum protection but they do restrict mobility of the ankle somewhat. They are more suited to static work on the ground, than for climbing up scaffolding. Electrical Protection. The Dr. Martens Electrical Hazard Boot has the famous Dr. Marten’s Air Cushioned Sole as well as extra insulation. This extra insulation is stated to add protection from electric shocks in these work boots. The thick rubber sole provides a wide protective area to the sole of the feet and the inner air pocket combines to give very good insulation from electricity. Other Protection. The rubber compound sole offers considerable heat resistance stating that it can withstand heat of up to 300 Celsius or 572 Fahrenheit for 60 seconds, great protection from damage from welding or other situation. where there might be hot metal on the floor. The high ankle support and well designed lacing offers great protection to the ankles. The sole is also resistant to a very large range of corrosive materials that might come into contact with the sole protecting both the boot and your foot. General Comfort. The general design of the Dr. Marten’s boot has changed little since the beginning. The company still offers it’s original design boots that are more in the fashion market, than the work market now. These boots feature a redesigned, sculpted upper, designed to support the whole of the foot. There is a breathable membrane keeping the boots odour free and dry. Why this is the best lightweight work boot for electricians? Reebok are famous for their lightweight, yet durable trainers. 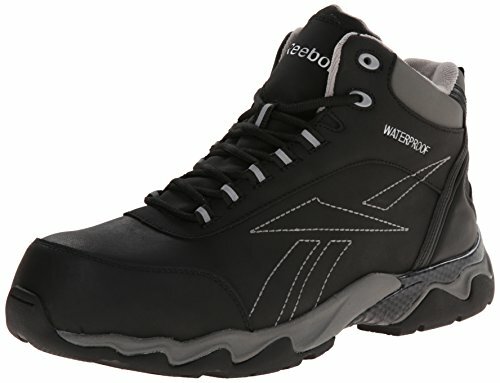 The Reebok Work Men’s Beamer Comp Toe EH Hiker is an amazing combination of jogging and working. All you have ever wanted in a work boot with the added bonus of not looking out of place in the gym after work. Electrical Protection. Reebok states that the Reebok Work Hiker offers electrical protection to the EH or Electrical Hazard Standard and as such offers protection up to 600 Volts in a dry space. This is a considerable feat in what is basically work boots disguised as a Rebook High Top trainer. This makes it a very useful pair of footwear for an electrician to have in his wardrobe. Other Protection. This low top boot offers great all round protection for the foot with Reebok’s own, safety composite toe that meets ASTM safety standards. The boots are lined with a Nylon Mesh and a waterproof membrane to keep your feet dry. There is also a removable cushion insert and shock elimination built into the heel. Reebok also states that they are Airport Safe, which is good to know. General Comfort. All round, just like wearing a pairs of trainers at work. A welcome relief if you have spent years and years wearing heavy, metal toecap work boots every day on the job. All day comfort, leading to less fatique and no more sore feet at the end of the day. Why this the best all round protection work boot for electricians? Standing a full 11.5 Inches High, the Irish Setter Men’s Wellington Work Boot offers the best all round protection from both electric shock and other dangers in the work place. These all leather boots look great and protect not only your foot and ankles, but most of you calf as well. They look stylish and can be worn with either your trousers inside or outside. With no laces to deal with, they are also easier to take on and off. Electrical Protection. The Irish Setter Wellington Boot has specific design features with electrical hazard protection built into the heel and sole construction. These features are there to reduce any hazard from the work boots coming into contact with and electrical source and potential avoiding injury. They are stated to conform to the ASTM Electrical Hazard Rating. No metal is used in the construction adding to electrical protection. Other Protection. 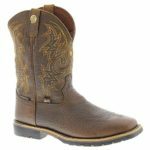 The 11.5 Inch high design and the very strong leather outer give a increased level of protection to the leg over lower boots made of other materials. 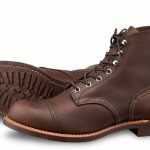 The boots have a 1 Inch sole adding a good layer of protection to the sole of the foot. The outer sole is also heat resistant, further protecting the whole foot from flames or other heat sources. The boot offers a great, all round level of protection in the work place. General Comfort. Due to the design of the boot, being without laces, they are very comfortable right from the start. Over time the leather and internal construction grows to the design of you foot and provides constant support and comfort. Care of the leather with some leather cream will ensure that the boot will look great and be hard wearing for years to come. It is well worth taking the extra time & trouble to find a pair of work boots that also protect you from electric shock. Whether this is your main job or not, this type of protection makes sense in most construction site environments. It could be the difference between surviving an electric shock and not. The United States Government is very clear about safety standards for work shoes and you can read all about that at the Occupational Safety & Health Administration website.